The Krampitz large storage tank farm. 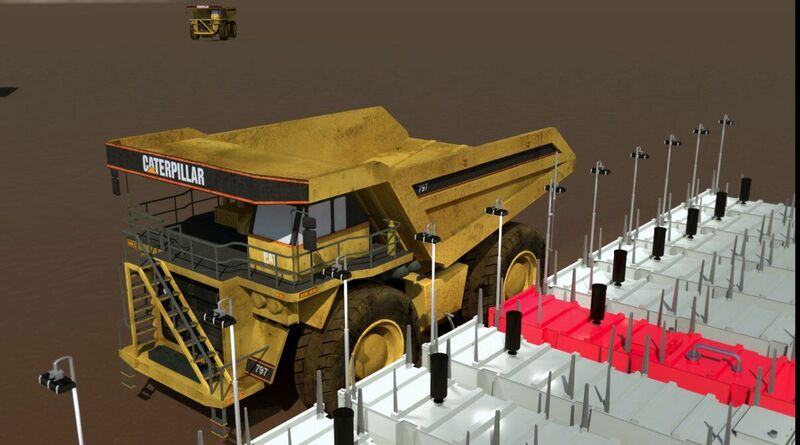 Ideal for mining, industry and power plants. Effective fuel supply. Also for the big ones. 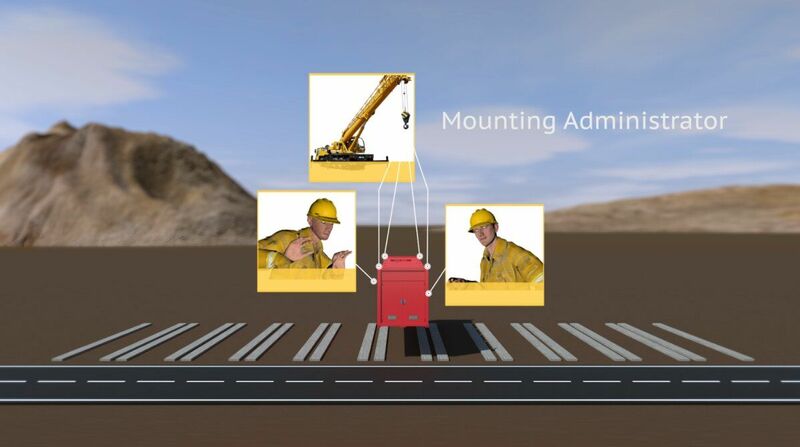 Transportation and construction are extremely easy thanks to containerized design and standardized equipment. 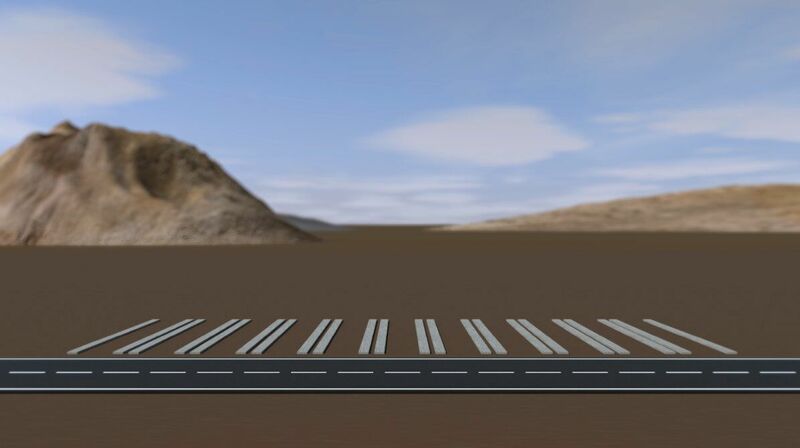 First step: Set strip foundations. 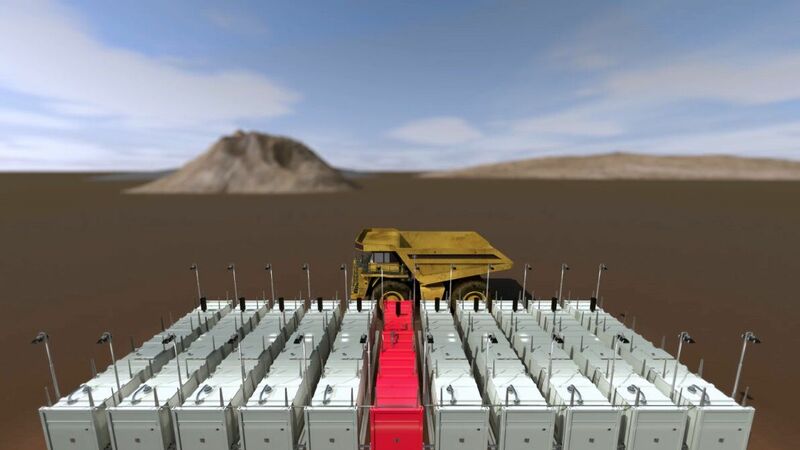 Once the foundations have hardened, the tank containers can be set up. A crane and two fitters are needed to install the containers. First the administrator tank. The heart of the plant. 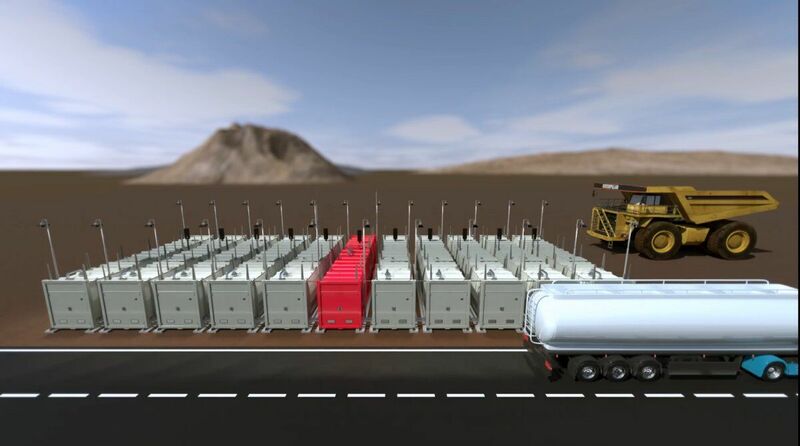 Receiving and delivery unit for fuels. Also, here is the central controller for the entire cluster. From here, the filling level of each individual container are managed and the entire safety sensor system is monitored. After the administrator container is put in place, it is anchored like every other container, at all corners with anchor bolts. Now: Fit the pipes. This is where the next container is mounted. This container and all following container that are now being installed are the workers. Here the fuel is stored. 60,000 l per container. The filling and emptying of the worker containers happens via the manifolds. 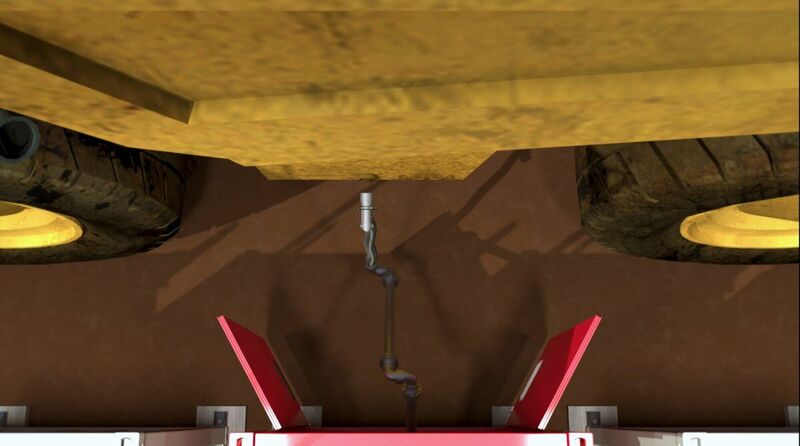 Inlet and outlet are controlled by motorized ball valves, switched by the control module in the Worker tanks. This control module is subordinate to the central control in the Administrator tank. The installation of each worker container tank is always the same: set the pipe fittings, align the container tank, bolt down the anchor bolts. To the right of the Administrator Container Tank as well. A total of 10 worker container tanks with a total capacity of 600,000 l are installed here. 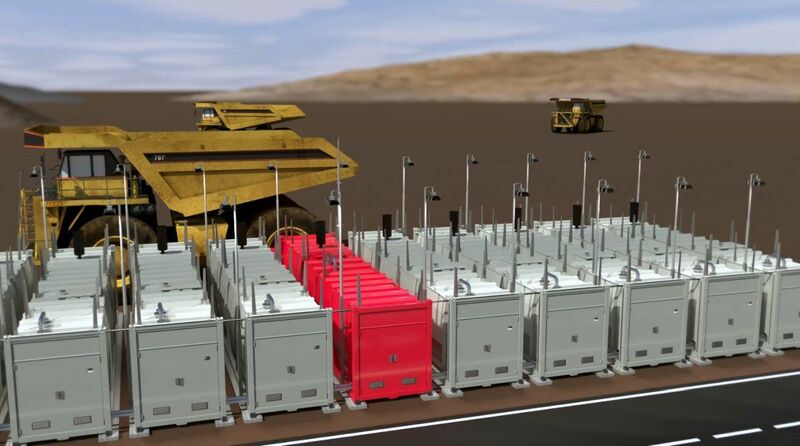 But you can also enlarge the system and add more container tanks. Also later. The dismantling and re-errection in another location is easy. Only appropriate strip foundations have to be done new. The container tanks are installed, now follows the installation of the external tank equipment on the Administrator Tank Container, air filter for the ventilation, electronic content display per tank chamber, a motor ball valve in the intake manifold to the container tanks. In addition: Lightning protection, lights for the external lighting and a surrounding safety railing on the tank roofs. 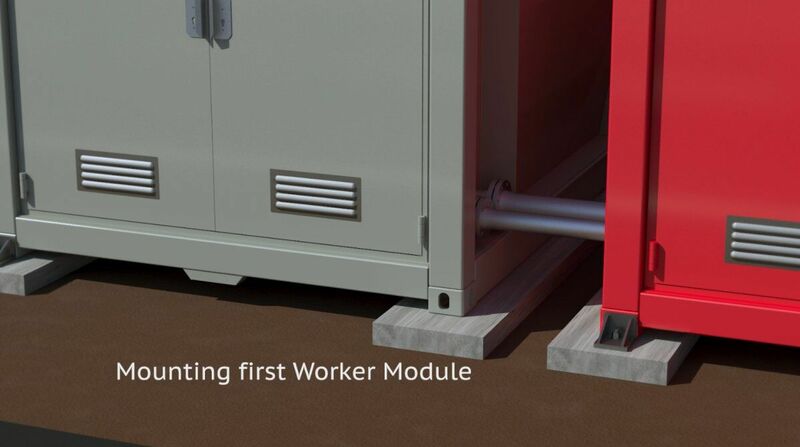 The same elements are also mounted on all worker container tanks. 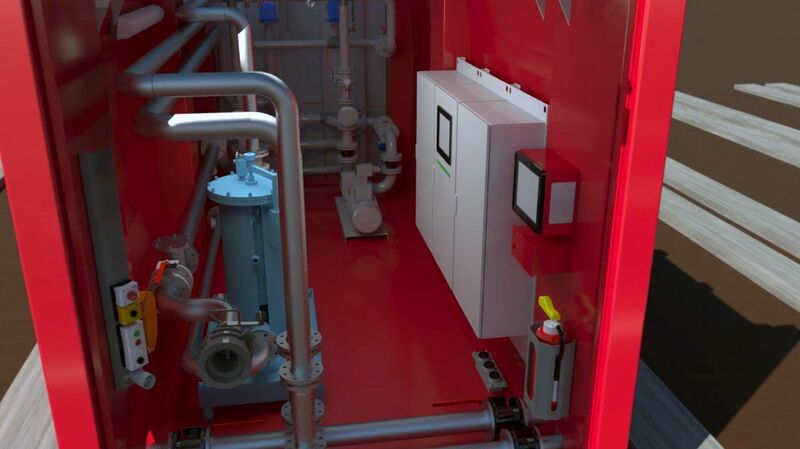 Finally, the control modules of the worker container tanks are electrically connected to the central control in the administrator container tank. In addition, a leackage test of the piping systems shall takes place. Done. After about 7 days, the whole large storage tank farm is ready for use. The tank farm is filled via the administrator container. More than 15 tanker trucks can be unloaded professionally. Then the tank farm is full. The fuel for both mobile and stationary consumers is dispensed on the other side of the administrator’s container. We provide movement. Storage tank cluster from Krampitz. Cubically good. 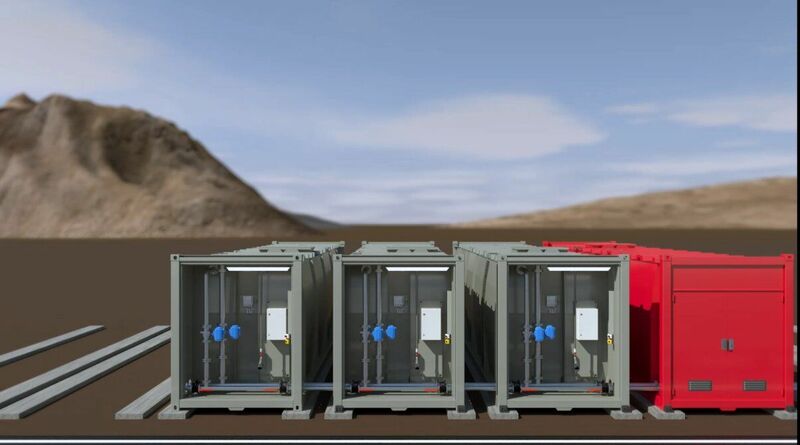 Krampitz MINOTAUR® Tank containers are rugged, highly secure, easy to install container systems with extensive international approvals. 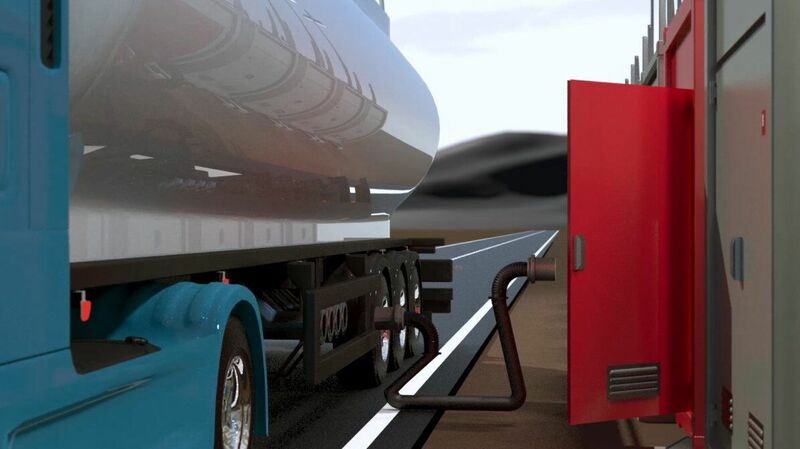 They are used in all areas of professional fuel supply. Krampitz BASIS® Tanks are single or double-walled day and storage tanks. High safety standards makes possible the employment within all industrial ranges as storage tank e.g. for Diesel tank, gasoline tank, oil tank, kerosintank, fuel oil tank, vegetable oil tank. The Krampitz CENTAUR® is a transport and a storage tank system, which sets standard in functionality, ease of operation and security. 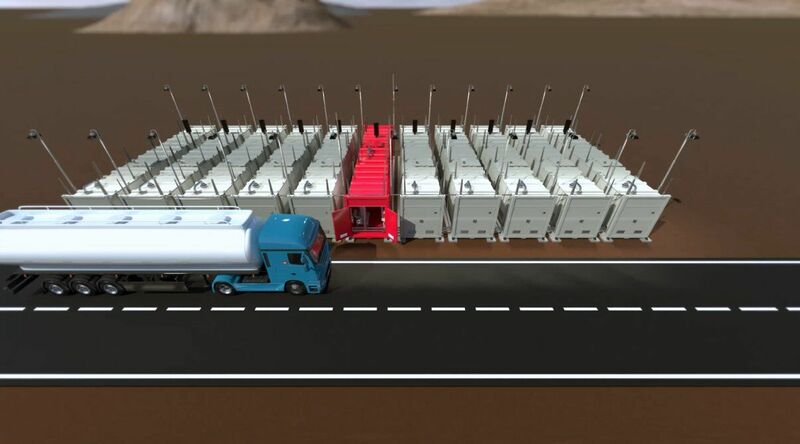 These components of modern logistics can be used individually or as tank battery, stationarily or transportably employed. Krampitz EQUIPMENT® for storage tanks: pumps (fuel pumps, oil pumps) and storage tank equipment (level transducer) for loading and discharging of low-viscous up to lubricating liquids.